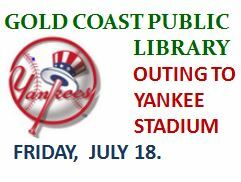 The Gold Coast Public Library is sponsoring an outing to Yankee Stadium on Friday, July 18. The trip includes a visit to Monument Park and the stadium museum as well as great seats in section 209 for the 7:05 game between the Bronx Bombers and the Cincinnati Reds. The $59 cost per person also includes transportation by coach bus which will leave from the Glenwood Landing American Legion Hall on Glen Head Road at 3:30 pm. Register now, as space is limited. Click here for Gold Coast Library announcement. 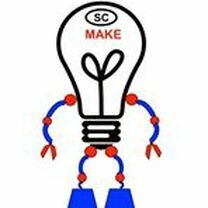 July 9, 2014 -- More than 35 children turned out this past Thursday for the latest hands-on adventure offered by the Sea Cliff Make Shop. Inspired by New York Hall of Science projects, the young engineers used 300 wooden dowels and rubber bands to build structures on the Sea Cliff Children's Library front lawn. 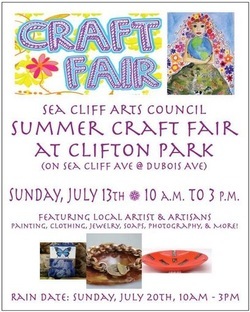 All materials were donated by the Friends of the Sea Cliff Library. READ MORE for the next Make Shop project. 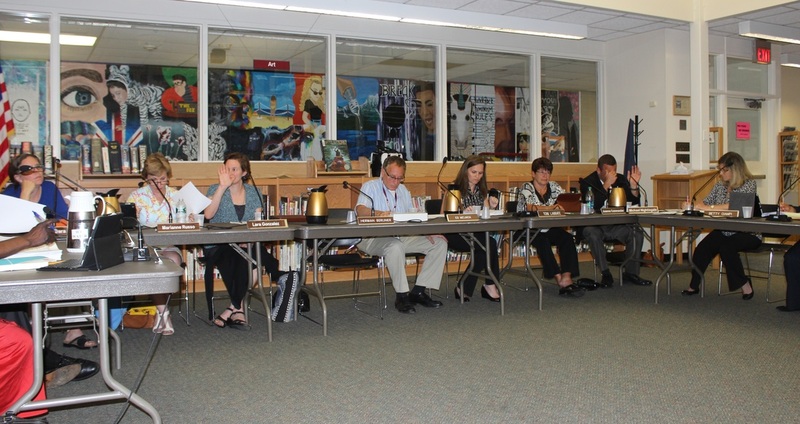 Less Than Three, featuring North Shore High School math teacher Dr. George Gerver, will be performing at Sunset Serenade at Memorial Park in Sea Cliff on Thursday evening. 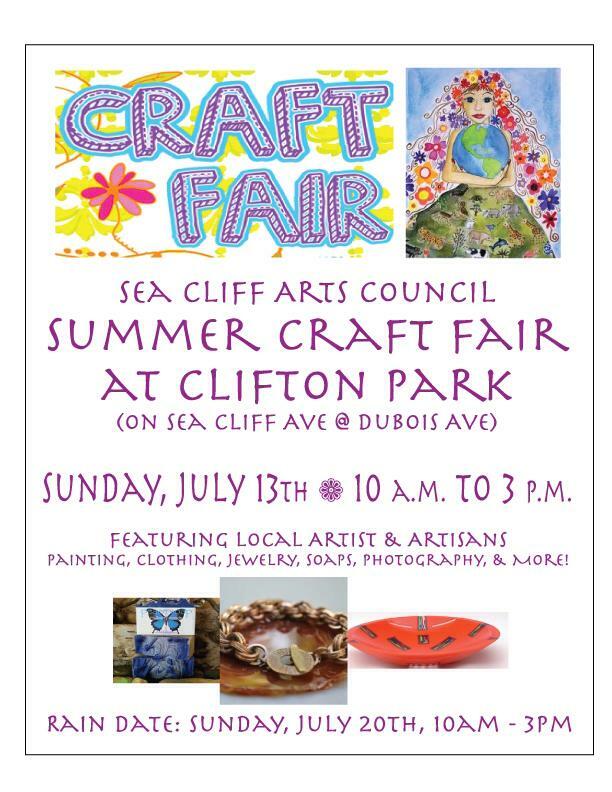 Joining the duo, will be Sea Cliff resident and 2012 North Shore Graduate Lisa Vetrone who will perform three of her original pieces. Less Than Three plays music from the 1950s to today, with an emphasis on 60s and 70s tunes. The three performed together at North Shore Relay for Life on June 7th (see picture above). Thursday's performance will go from 7 until 9 pm. In conjunction with the exhibition, Still Life: 1970s Photorealism, Cathleen Chaffee, Ph.D., the exhibition’s curator, discusses the paintings, sculpture and prints included in this exhibition. She places this important art movement in the context of critical and audience reception at the time. Dr. Chaffee, who organized Still Life for the Yale University Art Gallery and is now curator at the Albright-Knox Art Gallery in Buffalo, New York, presentsImitations of Life: Reassessing 1970s Realism at Nassau County Museum of Art on Saturday, July 26 at 3 p.m.
Fri 7/11 = Joe Pess brings in Jazz!